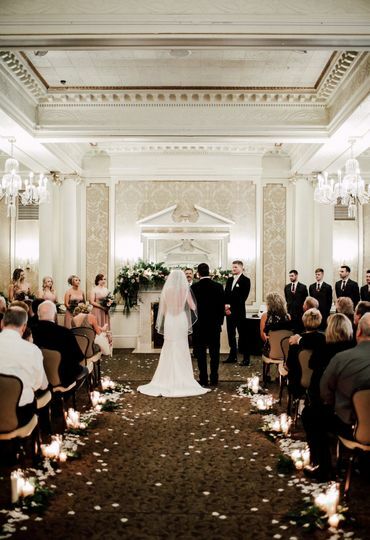 The Spokane Club is an iconic wedding venue located in Spokane, Washington. 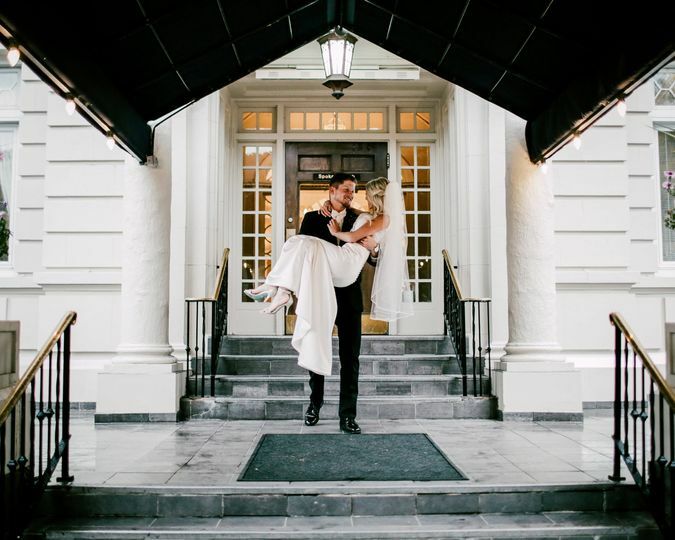 Born during the city’s “Age of Elegance,” the Spokane Club blends timeless style and presentation with exceptional service, making it the ideal space to host the wedding of your dreams. 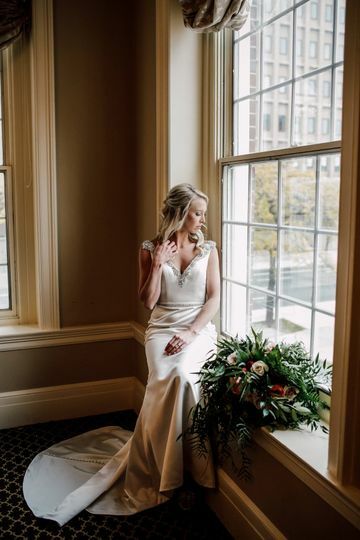 The dedicated staff at the Spokane Club will be with you throughout every step of the wedding planning process to ensure your celebration is a joyous and seamless event for you and your guests from beginning to end. The Spokane Club can accommodate up to 250 wedding guests in its elegant indoor event spaces. 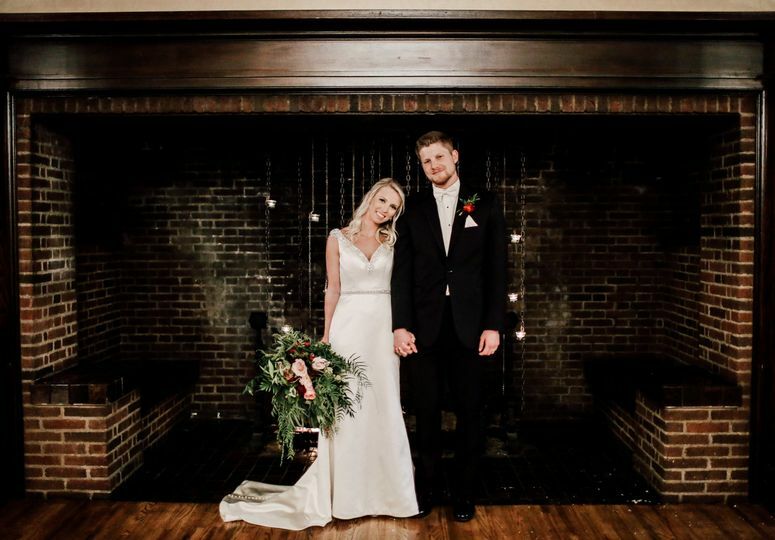 There are several locations within the club where couples can host both intimate or grand ceremonies and receptions, such as the Georgian Grand Ballroom, The Cutter Room, the Crystal Room, the Civic Room and the Gourmet Room. 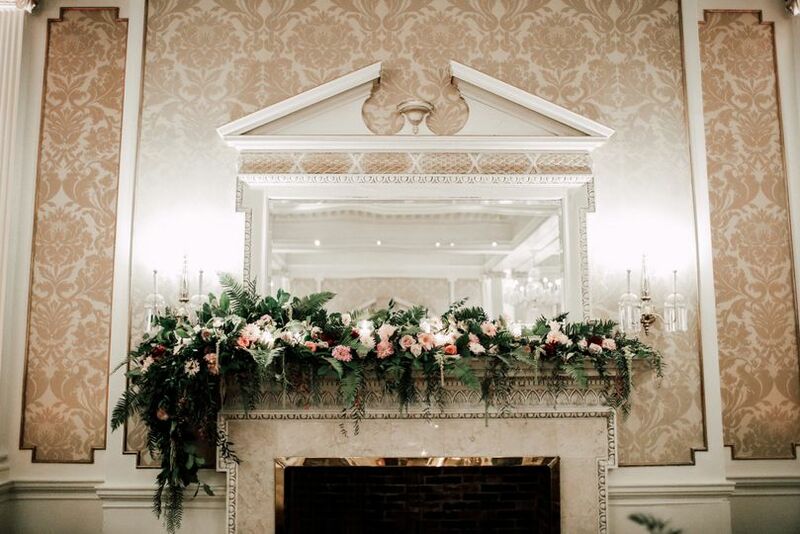 Inside the Georgian Grand Ballroom, couples will find beautiful chandeliers, gorgeous Corinthian columns, cornice embellishments and a decorative fireplace, as well as a wood-polished dance floor. The Cutter Room, which is named for Kirkland Cutter, the beloved architect who designed several iconic buildings in Spokane, is a more intimate space with similar features of the Georgian Grand Ballroom. The Crystal Room is perfect for hosting engagement parties or bridal showers. 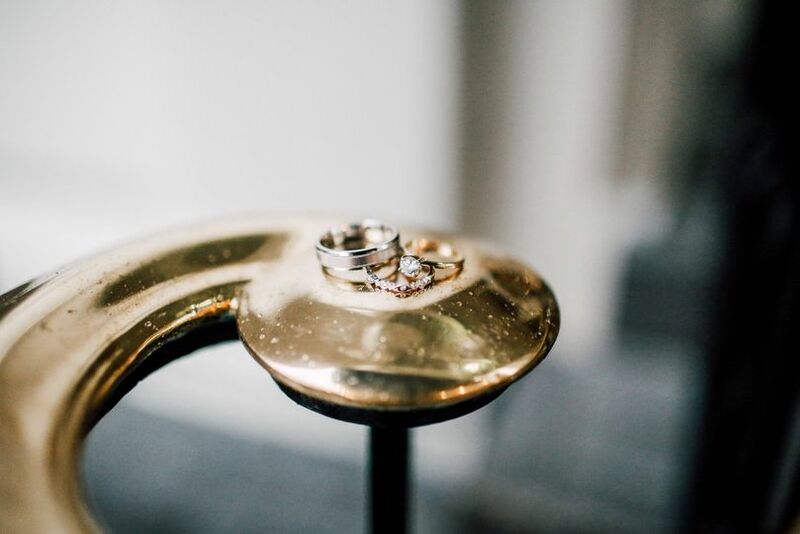 The Civic Room and Gourmet Room both feature a private bathroom and a wet bar, making the perfect spaces for the wedding party to get ready before the wedding. 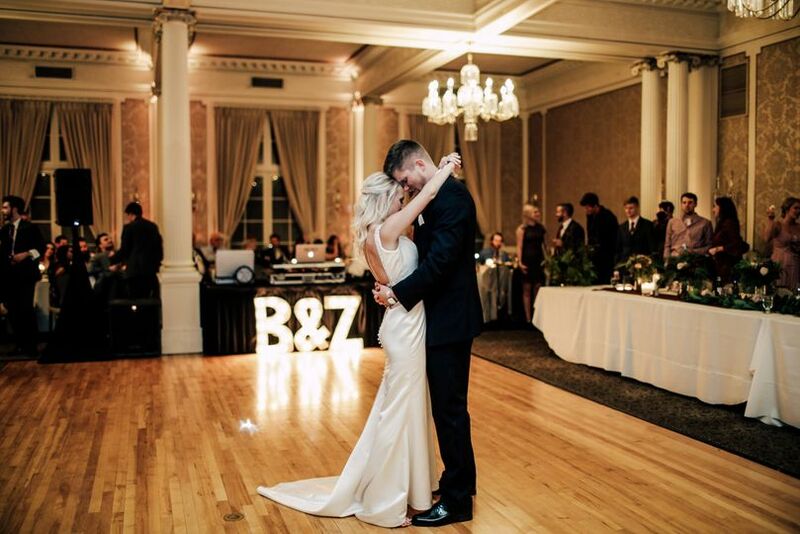 The Spokane Club is a full-service venue that is ideal for hosting a number of wedding-related events, including engagement parties, bridal showers, rehearsal dinners, ceremonies and receptions, as well as elopement ceremonies. The club offers several event services to couples planning their nuptials in the Spokane area. Those services include accommodations, in-house catering and bartending, and wireless Internet. Couples may bring in outside vendors to assist them on their wedding day at the Spokane Club. On the day of your wedding, staff will be on hand to help with setup and cleanup before, during and after your celebration. The Spokane Club offers valet services and onsite parking to couples and their guests on the day of the wedding. Best venue in Spokane, hands down! 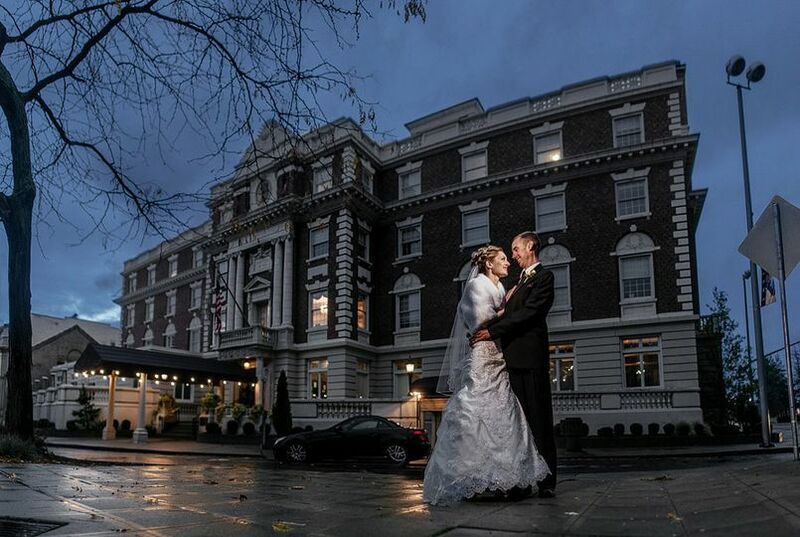 We chose the Spokane Club for our venue for its historic charm and its perfect location in downtown Spokane. But the real treat ended up being how incredible the staff at the Spokane Club was! Jackie and her team were truly UNBELIEVABLE. She was attentive to our needs in planning and had great suggestions. 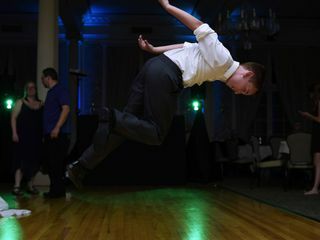 We had a large wedding of about 200 guests and the whole evening went off without a hitch. The wedding and catering staff was helpful and polite with everyone. People still keep telling us that our venue was incredible and perfect!! If you have a wedding in Spokane, I would HIGHLY recommend the Spokane Club. 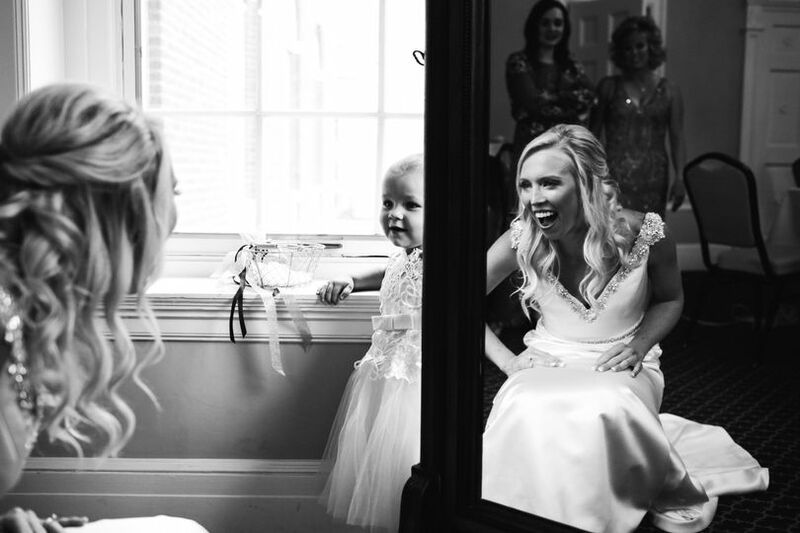 It was the best decision we made for the entire wedding! The Spokane Club truly caters to every want and need! Jackie Kiley, catering director, was so supportive and willing to help in every way she could. She went above and beyond and we couldn’t be happier with how the night turned out. We had the BEST experience with The Spokane Club as our reception venue. We initially had chosen this venue because of its all inclusiveness and great customer service, and boy was that a great decision. From beginning to end, the club treats you as a VIP customer that is in constant need of accommodating. We found that other venues were seriously lacking this quality, and we often felt like we were trying to accommodate the venues we were interested in when it should have been the other way around. Quite literally, the only thing you’re responsible for is paying for the food (tax and service fees) and the center pieces. That’s it. We owe a huge thanks to Jackie, the catering coordinator, who constantly went out of her way to make us feel welcome. She is an exceptional communicator and knows what excellent customer service should look like. She is quick to respond to emails, and will let you know when she’s out of the office. She never rescheduled our meetings and always made us a priority. Wedding planning can be daunting (especially because most of the time it’s your first one), but Jackie guided me along and helped me with deadlines. Since I did not have a “wedding coordinator”, this was a huge help. Not once did I ever feel pressured or unhappy with the venue! They were also extremely flexible and willing to accommodate our simple requests. For example, we procrastinated on our food selection, and missed the opportunity for a tasting months before the wedding. I brought this concern up at our meeting with Jackie just a month and a half before the big day, and she made time for us (a whole hour out of her day) to come in and taste our selections to give us peace of mind. I do not believe other venues would go above and beyond like this. Also, side note, I kept getting compliments from our guests over how delicious the dinner was! Thank you for making our big day simple and easy so that we could enjoy the day with our loved ones.